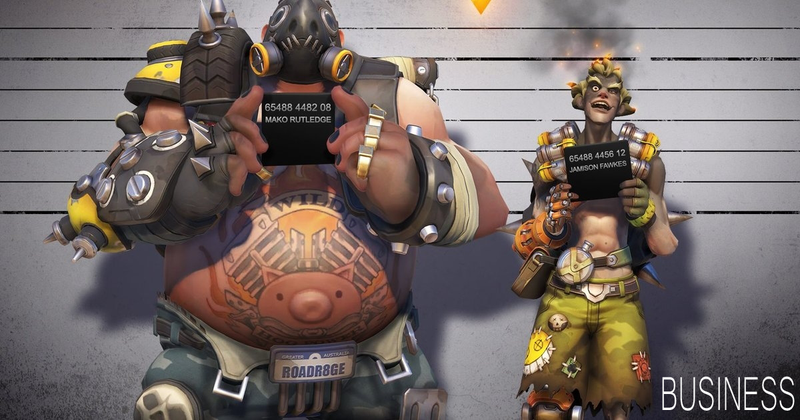 QUOTE | “If you are a bad person doing bad things in Overwatch, we just don’t want you in Overwatch. We don’t want to create areas for you where just the bad people are. We just don’t want those people in Overwatch.” - Blizzard’s Jeff Kaplan says the company has disciplined more than 400,000 Overwatch players</a> and dedicated so much to moderating toxicity in the player community that development on new content for the game has been slowed. QUOTE | “I didn’t mean that in a bad way.” - PewDiePie, moments after calling another player the n-word during a streamed match of PlayerUnknown’s Battlegrounds. QUOTE | “Hateful comments can be daily sometimes and a lot of the time you’ll find it is just a passionate fan wanting answers. It’s much easier to be patient and talk to them in a calm manner. However, there will be hate you cannot control, and in all honesty it’s defeating.” - Square Enix community manager Amy Graves describes the hardest part of the job. STAT | 12 - Number of Valve employees the company says spend some of their time moderating the service’s community of more than 125 million users. STAT | 1,300 - Number of new games released on Steam since the June launch of Steam Direct, which let any developer release a game on the storefront if they paid a $100 fee. 2017 to date has already seen more games launched on Steam than in the entirety of 2015. QUOTE | “I think it’s inevitable that the gaming entertainment world will move in much the same way that the music and video entertainment worlds have already moved, in the sense that people have moved from an ownership model to an access model. And you’ll see that in gaming, just as you’ve seen it with Spotify and Netflix in other media businesses.” - Electronic Arts VP of investor relations Chris Evenden believes the days of players actually owning games are numbered. QUOTE | “I would strongly urge you not to over-bid on an SNES Classic on any of the auction sites. You shouldn’t [have to] pay more than $79.99.” - Reggie Fils-Aime says problems placing pre-orders for the upcoming retro console have not been because of supply issues, as he insists the company “dramatically increased” production compared to last year’s NES Classic. QUOTE | “The horrible truth is that 99.9% of games are sent out to die, and a big part of that is a marketing deficit” - No More Robots’ Mike Rose details the driving principles behind his company’s marketing campaign to announce the procedurally generated downhill mountain biking game Descenders. QUOTE | “If the publisher isn’t prepared to meet you in the middle, negotiate in good faith, and respect your agency as an integral part of the contract, are they really someone you want a relationship with?” - Developer game attorney Zachary Strebeck offers loads of advice for indies looking to sign a contract with a publisher. QUOTE | “Based on experiences with apps that are mostly focused on this visual aspect of AR, some will conclude that AR is a gimmick that lacks real utility. That’s a bummer, because it really is the first step to something that is going to transform the world as we know it.” - Niantic CEO John Hanke cautions against over-reacting to the largely unimpressive first wave of augmented reality apps on smartphones. QUOTE | “You can mentally put the rest of the world on hold, but the rest of the world can’t necessarily be put on hold by you. I was so gung-ho about it. If you think someone will wait for you and tolerate you not being around... people move on.” - Tim Schafer warns devs about the personal cost of crunch.